Applicant Anatoliy Bondarchuk failed to fend off a petition for cancellation of his registration of the mark MARC CHAGALL for vodka. The Board not surprisingly found that the mark creates a false suggestion of a connection with the painter Marc Chagall, in violation of Section 2(a) of the Lanham Act, and it therefore sustained the petition. Association pour la Defense et la Promotion de l'oeuvre de Marc Chagall Dite Comite Marc Chagall v. Bondarchuk, 82 USPQ2d 1838 (TTAB 2007) [precedential]. Respondent Bondarchuk, through various procedural pratfalls, failed to get any evidence into the record. Some of the papers he submitted were filed by a representative not qualified to practice before the USPTO, some were submitted too late. In any case, the Board noted that even if his evidence had been considered, it would not have ruled differently. The Board first found that Petitioner has standing to bring this proceeding. 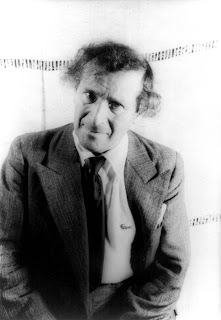 According to the testimony of Bella Meyer, granddaughter and an heir of March Chagall, the Committee's purpose is "to defend the rights and works of the painter Marc Chagall." She confirmed that "the committee's rights derived through inheritance through the artist." Her testimony, together with the Committee's claim that the subject mark falsely suggests a connection with the painter, established Petitioner's standing. Turning to the requirements for a Section 2(a) claim, Bondarchuk conceded that his mark is "the same or a close approximation of the name of the painter Marc Chagall which petitioner seeks to protect and that respondent is not connected with the painter Marc Chagall or his heirs." The Board therefore distilled the matter down to two remaining, closely related questions were: "whether the mark would be recognized as the name of the painter and whether the name is of sufficient fame or reputation that when the respondent's mark is used on the goods a connection with the painter Marc Chagall would be presumed." The Board began by noting that the MARC CHAGALL mark has no significance other than as the name of the painter. The evidence of fame or reputation of Marc Chagall is "substantial and unambiguous." Moreover, Respondent, in proposing a licensing agreement with the Committee to sell vodka in Belarus, stated that he desired to "commemorate the name of a great artist." Indeed, Respondent's specimen label (shown above) includes "what appears to be a portrait of the painter Marc Chagall and an artist's palette." Moreover, Respondent Bondarchuk's intent was clear: he "regarded the name of Marc Chagall as one of significant reputation which would generate good will in the sale of respondent's vodka." The Board found this evidence "highly persuasive." The Board rejected Respondent's contention that "fame" is required to support a claim of false suggestion of a connection: the strict fame requirement that may apply to other claims under the Lanham Act does not apply to Section 2(a). Its requirement is "fame or reputation." Moreover, the geographic scope of the fame or reputation of Marc Chagall "is sufficiently broad." "the names and likenesses of well known persons frequently are licensed for use on various goods and services. (Citations omitted). Thus, the name and/or likeness of a well known writer may well be 'extended' for use on goods or services unrelated to writing." 43 USPQ2d at 1354. Here, the MARK CHAGALL mark was in fact licensed for use on other goods, including dinnerware. That evidence provided further support to the conclusion that a connection with the painter would be presumed. And, as in the Hemingway case, the evidence of intent was highly persuasive. The Board therefore had "no hesitation" in ruling that Section 2(a) had been violated, and it granted the petition for cancellation. TTABlog comments: I considered the following title for this posting, but thought better of it: Registrant of MARK CHAGALL Suffers Mark Chagrin. Get it? No? How about "Marked Chagrin"? Anyway, note this UDRP decision (link) ordering transfer of the second-level domain name vodkachagall.com to the Committee in light of the latter's ownership of various trademark registrations for the mark CHAGALL. TTABlog Postscript: A faithful reader asks: how did this mark get registered in the first place? Bob, that's a darn good question!